Welcome to my blog. 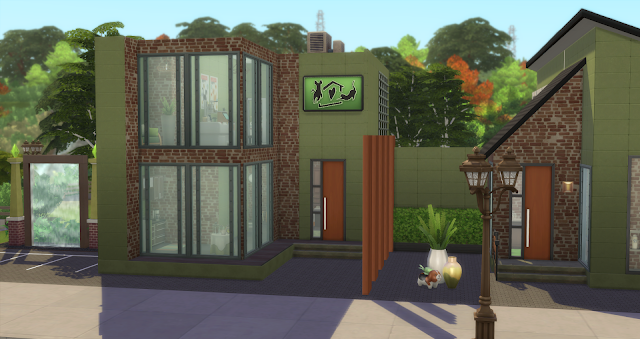 This is where I share my Sims 3 and Sims 4 builds. 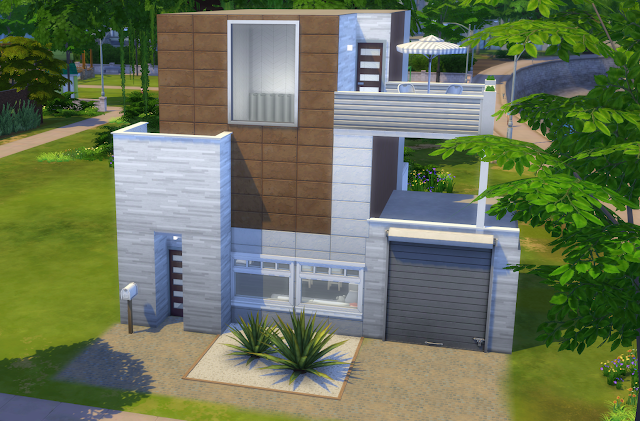 This starter home spans different levels. Downstairs features an open plan living area with a study desk, a kitchen with island seating and a bathroom. One level up you will find a bedroom with access to a rooftop patio on the next level. A single garage completes this lot. Click on the photos to enlarge / view the slideshow. The apples in the basket on the kitchen island are from the debug menu and don't transfer through the gallery. To place them access the debug menu, search for "Apple" and use the object with 3 apples. Place two and rotate them to fit the basket. Our luxury pet suites are furnished and decorated to resemble the comforts your pets are used to at home, and each suite has a small enclosed garden. Suites are equipped with thermostats for temperature control to ensure maximum comfort for your pet. Suites are also equipped with cameras with a live feed to your mobile device so that you can check in with your pets at any time. Pets enjoy daily supervised play sessions in the communal pet gardens to meet their exercise and socialisation needs. Pets have access to private shaded areas with comfortable beds to take an afternoon nap or if they want time out from the busy play area. Sims addict and 24/7 Schnauzer mom. I fell in love with building in The Sims 3, and I absolutely adore seeing the wonderfully creative builds and stories from other Simmers.